As a member of the Superdrug insider team (a handful of bloggers and social media users employed by superdrug) I am sent a parcel every month of new and exclusive products to the company. 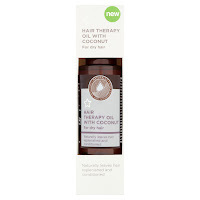 In May I was sent shampoo, conditioner and hair therapy oil from the new Superdrug Coconut Water hair range. I was excited to receive these as I have heard of the many benefits of coconut water and to incorporate it into a shampoo in a genius idea. 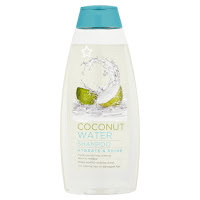 So I excitedly took my package home and washed my hair, And in my honest opinion I was very disappointed in the smell as it was hardly coconut water, more of a pineapple/pina colada smell. It was a very strong smell and really put me off. But everyone's favourite smells are different and this may be suitable for someone else. The smell lingered in my hair for a day or two but the best things about this shampoo and conditioner are that they left my hair feeling so soft! the softness lasted for days and days! Sometimes when I wash my hair and dry it, it can go static. With this it was fine and my hair styled perfectly! I am a 40 something mum and yes my hair is going grey, so as it was time to recolour my hair, I thought It would be a great time to put the shampoo to work. I stripped my hair using Superdrug Colour remover and then added a new hair colour with was a superdrug permanent colour. You can imagine how over processed my hair was! it was dry, brittle, knotty and frizzy. I washed my hair after colouring it and this time i only used the shampoo, it restored some of the goodness back into my hair and my locks looks luscious once again. 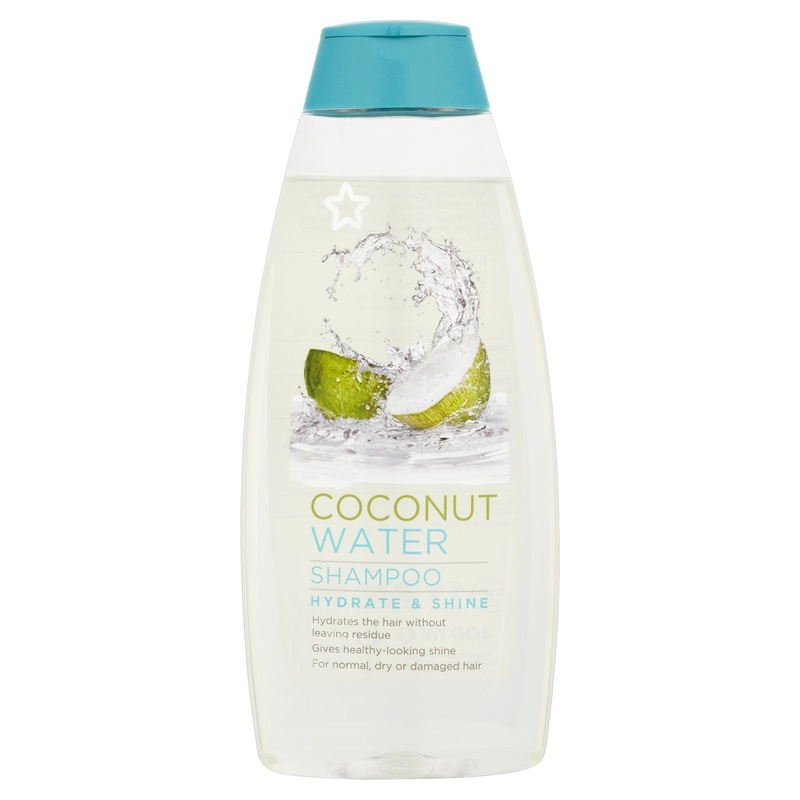 The Shampoo has ingredients of Cocos Nucifera Fruit Juice, aqua, Castor Oil, and Citric acid that work together to give you optimum hair and you will never need to wake up with bad hair again if you use this shampoo regularly. 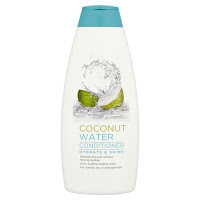 The shampoo and conditioner are available at the moment at superdrug.com for £2.99. Serum is something I use all the time at home due to my frizzy hair. You only need a tiny bit on your hands, rub your hands together and then run your hands over the ENDS of your hair. Don't use the serum in you roots and you will find that your hair becomes limp and looks greasy. Serum smooths down your hair and makes it more controllable to style. The Superdrug coconut hair therapy again has a smell of pina colada, rather than the smell of coconut, so I found it slightly off putting. However, it soaked into my hair quickly and it was non greasy to use and left my hair shiny.This has a gentle formula that wraps itself around your hair in a delicate moisture protective film and gives it a boost of shine leaving your hair soft and looking healthier after each use. I am a blogger and my opinions are honest, and if I am being totally honest I don't think I would buy this range of products again. Although I love the effect it had on my hair, the smell was too overpowering and if I am being honest a bit sickly sweet. However, different people have different opinions and the world would be a boring place if we all thought the same thing all the time.